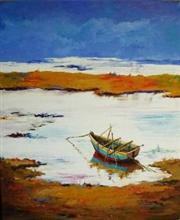 Deepali Sagade has completed G. D. Art in 1998 from Abhinav Kala Mahavidyalay Pune. 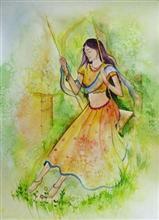 In school time she was in Aundh Sansthan near Satara and got inspiration of doing paintings from Aundh Sansthan's Museum. 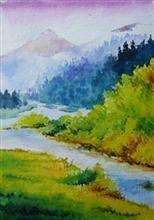 She likes to paint creative landscapes in watercolour and figurative paintings in Oil and Acrylic colour. She has done digital paintings in Photoshop. She has also received Best Painting award by Chitari Acadamy, Chitrakalacharya Puram award and Best Landscape award by Kalasangam, Karad. 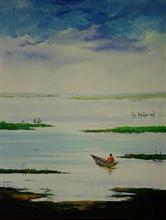 She is passionate about various moods of nature and reflections. She always feel that various moods of nature has the impact accordingly on human minds and vice versa. Best Team Award by SoftTech Engineers Pvt. Ltd.